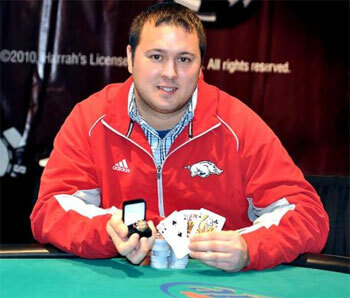 Jessie Bryant won the gold ring at the World Series of Poker (WSOP) for the second time this year. This card shark is originally from the United States. He served his country in the army and fought in Iraq. He also recently won in the latest “Circuit tournament” held at Caesars Palace Casino in Las Vegas. This victory comes after he won the Omaha 8 title at a WSOP meeting in Mississippi three months ago. This war veteran is not fazed by high-risk situations and knows how to keep a cool head in a crisis. These are qualities that seem to have served him well as he successfully adapted to the difficult conditions of the last rounds of the tournament. The WSOP was in Las Vegas until last Saturday, April 30th.